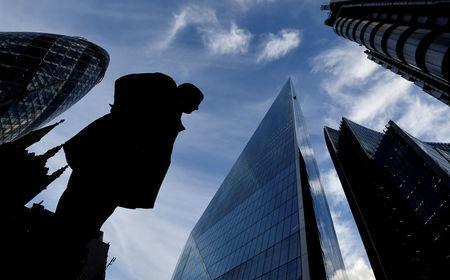 LONDON (Reuters) - Investment banks have warned M&A teams in Britain they cannot pitch business to clients in the European Union if there is a no-deal Brexit without an EU "chaperone" sitting in on their meeting, sources familiar with the matter told Reuters. "There is a whole bunch of things people have to do in the course of an M&A transaction which require regulation," Simon Gleeson, a financial services partner at Clifford Chance, said. "The problem is that at the start of the discussion you have no idea how you're going to finance the deal and technically you should tell clients every five minutes 'oh, I can't do this, I can't do that,' which is a bit worrying," Gleeson said, referring to what could happen if there is no Brexit deal. "Discussions with relevant regulators, employees and key stakeholders continue but as we have previously stated, our solution will involve multiple locations, including Madrid, Frankfurt and Luxembourg," she said. "London will remain a key part of the bank's footprint even after the UK's exit from the European Union," she said. "If Britain crashes out of the EU, even pitching ideas to EU clients is unchartered territory," a London-based M&A banker at a European investment bank said. "We will need a chaperone who is cleared by EU regulators to witness our conversations." A no-deal Brexit would harm an M&A banker's ability to interact freely with EU companies and develop relationships with local executives to win lucrative advisory mandates down the line. Bankers in London would need to hand all financing and deal execution activity to colleagues inside the EU, the sources said. They would also need a "letter of engagement" from a client, giving them the right to represent EU companies in M&A discussions, the sources also said. This refers to the legal principle of "reverse solicitation." "It's not a panacea but it's a known legal principle. You would need to have processes and procedures in place to show that you were approached by the client in the first place," Reynolds said. "It's not entirely clear what we can do and cannot do after March 29. What's certain is that under a no-deal scenario the entire pipeline would be disrupted," another M&A banker at a major U.S. investment bank said.